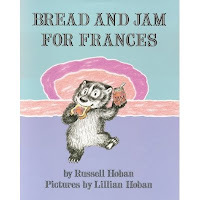 Frances is one of my all-time favorite characters from a children's book. She is a young badger who finds herself in many common childhood predicaments - being a picky eater, being taken advantage of by a friend, not being able to fall asleep at night. She usually learns a lesson - eating different foods is nice, my job is to sleep, a sister can be a friend - and she always sings a simple song to complement the story. I love how the song just ends - splat! - but I do not share Frances' opinions on eggs. I like eggs lots of ways. I especially love eggs with peppers or hot pepper sauce. Toast, a great neighborhood breakfast spot, makes killer Pepper Eggs with green, yellow and red peppers. Pepper Eggs are great on their own and even better after Sally Albrighting (here a verb) them to include jalapeño, the omission of which, given the name of the dish, is patently unforgivable. Try them! Try them! And you may. Try them and you may, I say! Our annual Indiana apple picking extravaganza was later than usual this year and we missed the Honeycrisp apple picking season. The apples we brought home were consolation enough. Plus, they're still available further north. Honeycrisp season extends into October in northern Michigan, Wisconsin and its native Minnesota and several farmers are still bringing them to market in Chicago. For those unacquainted with the variety, the Honeycrisp is a product of cross-breeding the Macoun and Honeygold varieties. The coupling produces an apple that is notably crisp and simultaneously sweet and tart. Also, there's less shedding. So what are we going to do with them apples? Most of them will be eaten whole or with peanut butter. But a few lucky ones will be braised with cider and cinnamon and heaped on tomorrow morning's oatmeal. Mmm. It’s possible that I’ve become a party pooper. My policy on balloons is that unless they arrived via FTD from a relative to commemorate a birthday, balloons are welcome in our home for a period not to exceed 24 hours or until their helium dissipates sufficiently to cause them to lope about the house like Eeyore. It’s also possible that you can empathize with me for having to step over balloons and their long, knotty ribbons and you’ve popped a few yourself. The business of entertaining the things my kids appreciate with full enthusiasm is a tricky part of parenting. I’m convinced a large piece of staying relevant to growing children comes from taking an early and active interest in that which captivates theirs. That the answer to the interminable questions of young children: Do you want to play doll house with me? Do you want to read me a story? and, Do you want me to make you cookies in my Easy Bake oven? must always an unhesitating, absolute, and enthusiastic YES! Thank goodness kids and adults are different. We rescue each other daily. My daughter is safer now that I’ve jettisoned the Easy Bake oven. (In my defense, ever since it was used it to bake a Moon Sand pie it’s been emitting noxious fumes.) My kids are a constant reminder to enjoy the moment and laugh at the forlorn balloon wandering the halls, looking for love. A world where children and adults were routinely captivated by the same things would be strange. KIDS LIKE STICKERS, reads the label on pediatric office stickers. No one would ever make this generalization on behalf of adults. As my children grow we’ll cultivate family interests and our individual interests will overlap. There’s no guarantee that they’ll claim my hobbies as their own, but I look forward to questions like: Do you want to go for pedicures? Do you want to do ski Genevieve one more time and then go sit in the hot tub? and, Do you want to make popcorn, watch a movie and have a slumber party in the living room? Later it will be: Do you want to pay for my master’s degree? Do you want to invest in my new company? and, Do you want to watch the kids for a week while we go to Hawaii? I know to expect these questions because we have asked the very same ones and had them answered with an enthusiastic YES! by my husband’s very generous parents and, you know, what goes around comes around. Participating actively and enthusiastically in the lives of our children helps earn parents a permanent position in their lives. That’s what I want. That, and for all these friggen balloons to go away. Oh, and some cookies from the Easy Bake oven. Doh! It's fall and I'm sick. I'm, like, falling into my soup I'm so sick. Get it? I'm sorry - that was so bad. I'll let the soup do the talking from here on. I've lately been enjoying a rustic version of this classic (pictured above) which is achieved quite easily by not pureéing the soup. You get a chunky, hearty soup I really enjoy. For a more refined version, just pureé and strain - you'll end up with a velvet-smooth soup that's creamy without any added fat. Leeks: trim off all the green and the tail end. Slice in half lengthwise and rinse. Restack and finely slice crosswise. Potatoes: scrub and peel or leave unpeeled as you like. Cut into ½-inch cubes. In a medium-large saucepan, heat one tablespoon of olive oil over medium heat. Add the leek and onion and sauté for 3-4 minutes, until both are translucent. Add the potato and cook another 2-3 minutes, stirring frequently. Add the broth and turn the heat up to high. Once it’s boiling, turn the heat down to a simmer and cook for about 15 minutes, or until the potato is cooked thru. Add salt and fresh ground pepper to taste. I like to prepare it up to this point earlier in the day, let it sit for a bit and then reheat at point of service. This allows the flavors to set a bit more. Serve now for a hearty, rustic soup. For a more formal presentation, blend and strain the finished soup. Prior to blending you MUST allow the soup to cool to approximately room temperature first (if you blend hot soup the heat will cause it to explode out of your blender, burning you and making a mess of your kitchen). Blend and strain through a medium hole chinois or mesh strainer. At point of service, adjust seasoning and reheat. Adding a garnish makes it even more formal. At cooking school, where this recipe originated, we were taught to sauté long thin strips of leek, drain them on a paper towel and center them on a bowl of soup in a small heap. 5. A treat. The treat doesn't go in every day but when it does it's either a couple of Hershey kisses, a few cookies (something from Whole Foods) or a freshly baked cookie, straight from the toaster oven. Waxed paper bags are available at Whole Foods and are good for sandwiches, cookies, chips. I admit to using the snack sized Ziploc bags for carrots. I could improve lunchbox sustainability by using containers or being better about reusing those plastic bags. I buy sprouted sandwich bread at Trader Joes. I also really like the Alvarado Street sandwich bread available in the freezer at Whole Foods. What are you packing in those lunchboxes that your children enjoy? There is no substitute. Yesterday's cookie is just not worth eating. All the love is lost. The folks at Nestle know this and have addressed it by packaging cookie dough in refrigerated tubs and rolls in supermarkets. All we have to do is take them out of the equation to produce fully homemade cookies (with no preservatives). It’s elementary, dears. Just make a batch of your favorite cookie dough. Take half the dough and plop it only a long piece of plastic wrap. Wrap it up loosely and roll it into a log. Repeat with remaining cookie dough. I usually refrigerate one log and freeze the other. When you want a cookie, simply slice off a round of dough and bake in a preheated oven. I crank them out in my beloved toaster oven (where baking times are faster) and tuck them into my kids lunches. Cream butter in mixer with paddle attachment for 3-4 minutes. Add sugars and cream well for about five minutes, scraping bowl a couple of times. Add eggs one at a time, mixing in well between additions. Add vanilla. Sift flour, baking soda, salt and cinnamon together. Add to butter and mix in slowly. Add oats and chocolate chips and mix just to combine. Form into logs as described above and refrigerate or freeze. Bake for 6-8 minutes in a preheated 350° oven. Remove and cool to room temperature before wrapping or bagging. On account of bloodthirsty Midwestern bugs I’ve resolved not to go camping again in the summer. Campfires will have to wait until fall. Meanwhile, we've been getting our s’mores fix via the rosy glow of two electric heating elements in our toaster oven. We discovered the way to a great indoor s’more a few summers ago after sampling my nephew’s efforts to produce the same. The key is to replicate the outdoor process: roast a marshmallow then slide the puffy, browned, oozy mass onto a graham cracker preloaded with squares of Hershey bar. Anyone with an oven can do it - preferably a toaster oven since less energy is required. Preheat oven to about 350° and place marshmallows on a tray. Roast for about 4-5 minutes, watching carefully after three minutes of roasting time. Once browned on top, flip the marshmallows over and brown the other side. You’ll notice the marshmallows deflate if not consumed quickly once roasted. Returning them to the oven will make them puff back up again. Just don’t ask me why; marshmallow science eludes me. A big shout-out goes to Così, the flatbread chain, for offering indoor s’mores with a nod to danger. Così provides youngsters - any paying customer, really - with wooden skewers, a handful of marshmallows, a Hershey bar, and a flaming scoop of napalm jelly in a small cast iron pot. It’s all fun and games until someone hurls a flaming sugar wad into someone else’s eye (an easily imagined consequence of the hot disagreement over who got more of the Hershey bar). I can’t believe Così is allowed to do this. As long as they are, we’ll be sucking napalm fumes and gesticulating wildly with flaming marshmallow in hand about how AWESOME it is. Seriously. Croissants are hard to make. 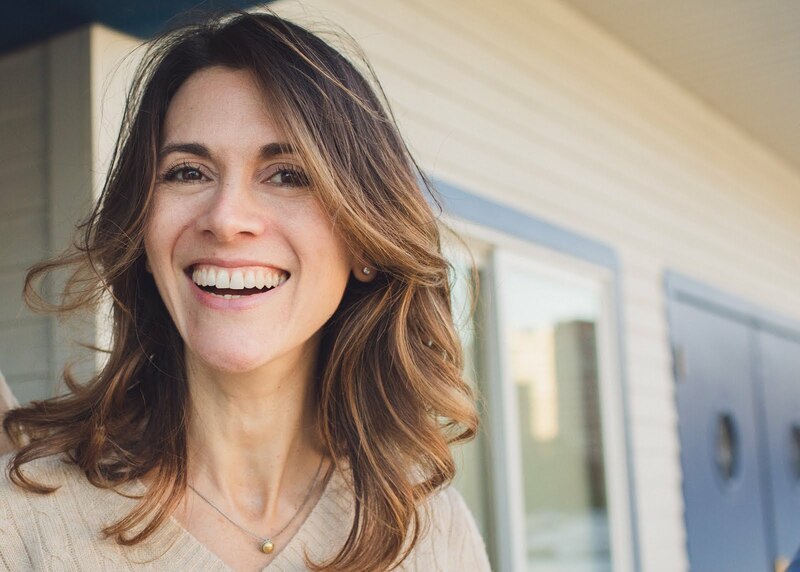 You need loads of time, counter space, and expertise. And butter. No one really has any business trying them at home. That’s what great bakeries are for. Sadly, there’s a dearth of excellent pastry out there. And no item is more poorly done than the croissant. I’ve discovered it’s possible to - in the immortal words of Kanye West - Make a Benz Outta that Datsun by turning a plain store bought croissant into a nearly homemade almond croissant. The croissants I used were from Costco. Surprisingly, these are better than most of what I’ve tasted at Chicago bakeries and cafés. They are sold by the dozen, natch, but this works well as the recipe calls for freezing them. • Simple syrup (½ cup water and ½ cup sugar, 2-3 strips of orange peel (just use a regular vegetable peeler) and a piece of vanilla bean if you have it. Bring to a boil and cook 4 minutes or until the sugar is dissolved. • In a mixer with paddle attachment, cream butter and almond paste together, 5 minutes. • Add eggs, one at a time, mixing thoroughly between additions. • Add almond meal and flour, and mix well, scraping the bottom of the bowl to ensure the butter is well incorporated. 2. Prep simple syrup, keeping warm. 3. Preheat oven to 300° convection or 350° standard. 4. Remove croissants from freezer and slice in half, crosswise. 5. Brush or squirt simple syrup on the inside of both halves. 6. Spread a layer of almond cream on the bottom of each croissant. Replace top half and spread a very thin layer of almond cream on the top half. 7. Sprinkle with sliced almonds and press on gently so they stick. 8. Transfer to a parchment-lined sheet pan and bake in preheated oven for about 20 minutes or until nicely golden, rotating pan halfway to ensure even color. 9. Remove from oven and cool to room temperature. Before serving, dust with powdered sugar (a mesh tea-immerser does this trick nicely). My husband frequently points out that I make a lot of assumptions when telling someone how to make something. “It’s really easy…” is how I lead most lessons, only to lose my audience in a haze of terms like bain-marie, blind bake, and cartouche. Years spent in the commercial kitchen have caused me to make the mistake of assuming others cook with similar experience, equipment, ingredients and passion. I began to appreciate his point this summer when I made a chocolate pound cake in someone else’s kitchen. What came out of the oven was not the same delicious cake I bake in the Pinch kitchen. It made me realize how my recipes could be received differently when prepared using different ingredients. The critical difference between the Pinch Chocolate Pound Cake and its inferior impostor was the cocoa. I only use Valrhona cocoa. I’ve worked with several cocoas and have determined this one to have the best depth of flavor and the least bitterness of its peers. Valrhona cocoa is a Dutched powder with a rich color and excellent taste. I use it in everything - baked into cakes and dusted on brownies or truffles. What does Dutched mean and does it matter? Dutched cocoa is treated with alkaline which removes much of cocoa's natural acidity, rendering it nearly neutral. Some bakers believe that the Dutching process affects leavening. Recall the elementary school science fair volcano? Baking soda (a leavening agent) requires an acid to cause a reaction. The science is sound but I have yet to experience a loss of leavening when baking with Dutched powders. All the difference. Quality in chocolate is proportional to its percentage of cocoa butter. Grocery store cocoa powder contains 9-12% butterfat. Higher end products such as Scharffen Berger (a natural cocoa) and Valrhona contain 20-25% butterfat. I made my chocolate pound cake three times with a three different qualities of cocoa: Valrhona, a mid-level Guittard natural cocoa (meaning not Dutched), and a low-end supermarket variety, also natural. The difference between the cakes was amazing. The cheapest cocoa made a chocolate colored cake that lacked flavor. The Guittard cake was quite good. The cake made with Valrhona cocoa knocked everyone’s socks off. This is the classic problem for the home cook. As much as we try to emulate professionals and follow their recipes, much of the time we are not using the same quality ingredients. What’s a home baker to do? Cooking like a pro entails spending a lot more on your ingredients. Importers and specialty shops such as Sur la Table and Williams Sonoma are good sources, as is Amazon. If you'd like to up the ante a bit but don't need to have anyone's socks knocked off you need look no farther than your neighborhood grocery store. Droste cocoa (Dutch-processed) is widely available and gets universally good marks for flavor.